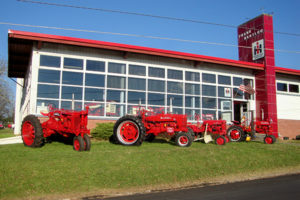 Columbia and Montour Counties’ Summer Heritage Passport highlights some less known cultural and heritage buildings near Bloomsburg, PA. One is the International Harvester Collectors Museum in Millville, PA, only a 20 minute drive north from The Inn, Farmhouse, and Brewing Co. at Turkey Hill. 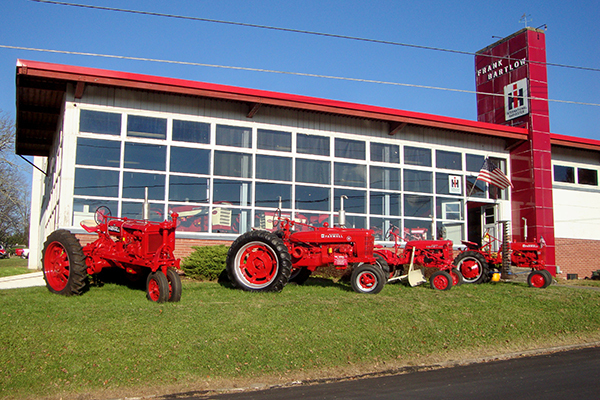 The Museum exhibits of International Harvester agricultural, industrial and military equipment, home appliances, and memorabilia from the mid-20th century. To increase brand identity shortly after World War II, the International Harvester company created a prototype for a uniform building design and color. 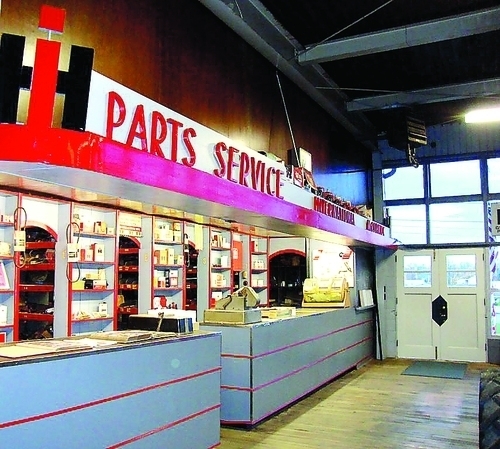 Frank Bartlow began construction of his prototype IH dealership building in Millville in 1946. Millville was one of the first towns where this design was used, and the building is one of only a few of these structures left in the United States today. His dealership sold only agricultural equipment and home appliances. Because of the building’s sloping site, the prototype design was modified slightly, but most of the IH iconography remained, as shown in the photo of the museum’s façade today. The company specified a showroom façade with large multi-paned glass and a projecting tower structure displaying the IH logo and dealer’s name. The roof and tower were red like the company’s tractors, and the façade was a light color matching the showroom. The interior of the Millville dealership followed the design prototype for the showroom and parts department. For more information about Summer Heritage Passport ‘s other attractions, visit the Columbia and Montour Visitors Bureau. Three of the other Heritage Passport sites are in Bloomsburg, and five more are 15 miles or less away. The International Harvester Collectors Museum is on the way to Eagles Mere, where three more of the Passport attractions are located. Visitors who complete at least 10 of the Passport stops on the route by Sunday, October 7, 2018, will be entered in a drawing for five different prizes, totaling $1,000 in value. 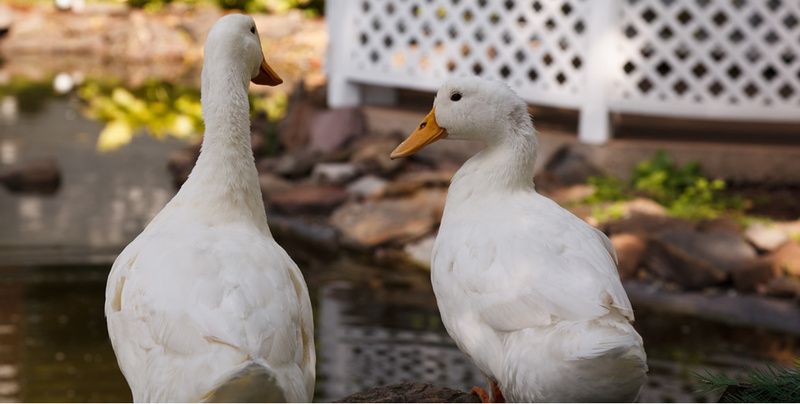 The deadline for entering this contest is approaching, so don’t wait to make your reservation at the Inn and explore our Northeaster Pennsylvania heritage! This entry was posted in Bloomsburg hotel, Heritage Passport Site, Local attraction, Museum, Uncategorized and tagged antiques, International Harvester Collectors Museum, local attractions, summer activities, Summer Heritage Passport by admin. Bookmark the permalink.